WHAT ARE WE TWITTERING ABOUT? 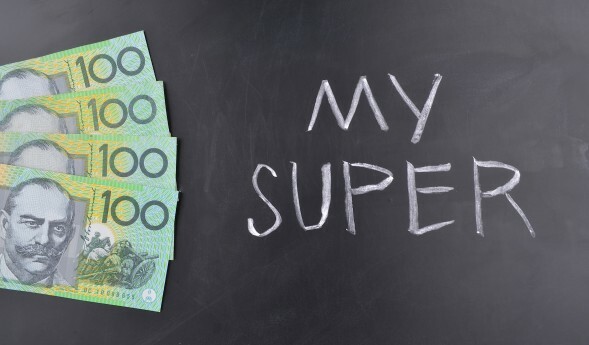 Consolidating your super is the process of combining two or more superannuation accounts into the one single account. Doing so can not only save you money, but also streamline your investment management process. For a full list of benefits, read on! Despite your super balance, running multiple super accounts will mean that you pay multiple sets of fees. Consolidating your funds will reduce your fees to the one account, effectively setting aside more for your retirement. Having one fund will reduce your paperwork (goodbye numerous statements in the mail) and administration tasks. Ensuring that you have more time to focus on the more important things in life. As part of your consolidation, the team at Edge FP can assist you in completing a lost super search. This will help you locate any funds that have been set aside for your retirement yet have not been allocated to your fund. With one fund, it is easier to manage your investment strategy and tailor it to suit your investment needs. Having multiple super funds can also mean you are paying too much for multiple insurance policies that you may or may not need. Consolidating your super under the one fund will make it easier to manage and achieve your insurance needs. – Exit or Withdrawal Fees may be applied to your existing funds. – Check whether your employer can make contributions to your new fund. – Changing your super fund will cancel any of the existing insurance you have in place. It is a good idea to keep this insurance in place until your new policy is in place to avoid any shortfalls. – Different insurance companies offer a range of different features. If you are cancelling any insurance policies as part of your consolidation, it is important to make sure none of your required benefits are being lost. – If you’re in a defined benefit fund, it is highly recommended that you source advice before leaving. To find out more about your current fund you can check your annual statement and/or contact the super fund itself. Alternatively, we can help. This publication has been prepared by Leigh Stafford, Penny Collicoat, Little Miss Stonnington Pty Ltd (trading as Edge FP) Authorised Representative(s) of Apogee Financial Planning Limited ABN 28 056 426 932, an Australian Financial Services Licensee (“Licensee”), Registered office at 105 –153 Miller St North Sydney NSW 2060 and a member of the National Australia Bank Limited group of companies (“NAB Group”). Any advice in this publication is of a general nature only and has not been tailored to your personal circumstances. Accordingly, reliance should not be placed on the information contained in this document as the basis for making any financial investment, insurance or other decision. Please seek personal advice prior to acting on this information. Information in this publication is accurate as at the date of writing (July 2015). In some cases the information has been provided to us by third parties. While it is believed the information is accurate and reliable, the accuracy of that information is not guaranteed in any way. Opinions constitute our judgement at the time of issue and are subject to change. Neither the Licensee nor any member of the NAB Group, nor their employees or directors give any warranty of accuracy, not accept any responsibility for errors or omissions in this document. Case studies in this publication are for illustration purposes only. The investment returns shown in any case studies in this publication are hypothetical examples only and do not reflect the historical or future returns of any specific financial products. Any general tax information provided in this publication is intended as a guide only and is based on our general understanding of taxation laws. It is not intended to be a substitute for specialised taxation advice or an assessment of your liabilities, obligations or claim entitlements that arise, or could arise, under taxation law, and we recommend you consult with a registered tax agent. If any financial products are referred to in this publication, you should consider the relevant Product Disclosure Statement or other disclosure material before making an investment decision in relation to that financial product. Past performance is not a reliable guide to future returns as future returns may differ from and be more or less volatile than past returns. Life Insurance and How much to get?